I woke up this morning to stumble upon a great article on UK's CreativeBloq.com titled '40 inspiring examples of letterpress business cards'. A lot of really great work, but admittedly was very surprised to see one of my designs on the list! Thanks CreativeBloq. As a reader of Computer Arts magazine since 2001 (as well as their web site) It's a great feeling seeing my work alongside so many talented designers. 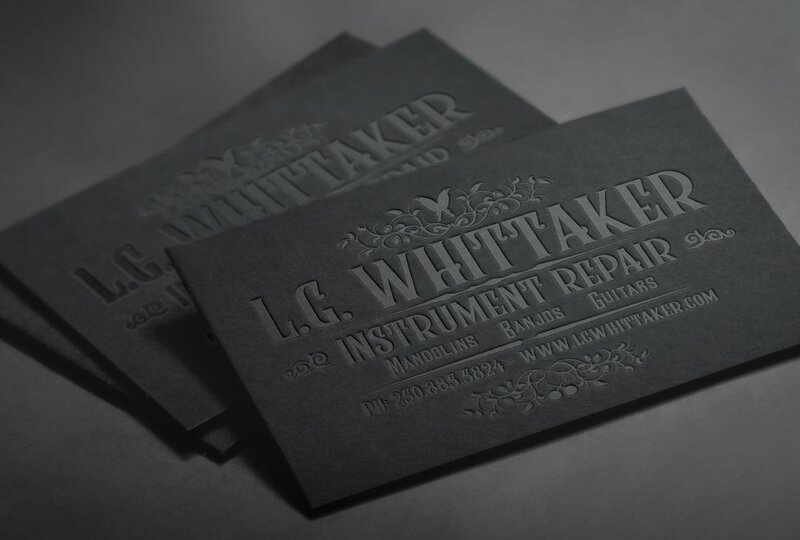 For instrument repair specialist LG Whittaker, Canadian designer Jesse Ladret made these gloriously black business cards. With a layout based on Whittaker's existing banner but with refreshed typography, these debossed letterpress cards are wonderfully tactile.